Have you ever searched “hardwood floor refinishing Southfield MI” only to find an overwhelming amount of results? Read on to discover the difference between Fabulous Floors and the other hardwood floor refinishers in the area. Now is the perfect time to get your hardwood floors refinished from the professionals at Fabulous Floors Michigan. We have been in the hardwood industry for many years and can deliver results you are looking for. Our hardwood floor refinishing in Southfield, MI is sure to bring back the beauty of your hardwood floors. Trust our experienced technicians to transform the look of your hardwood floors and not leave any mess behind when they are done. We care about the environment and the Southfield, MI community. All of our products and services are GREENGUARD Certified. That means that our products are certified for low chemical emissions. You can be confident that your family, pets, and loved ones will not be negatively affected in any way as a result of our services. We have developed and refined our hardwood refinishing process into one that is efficient and effective. 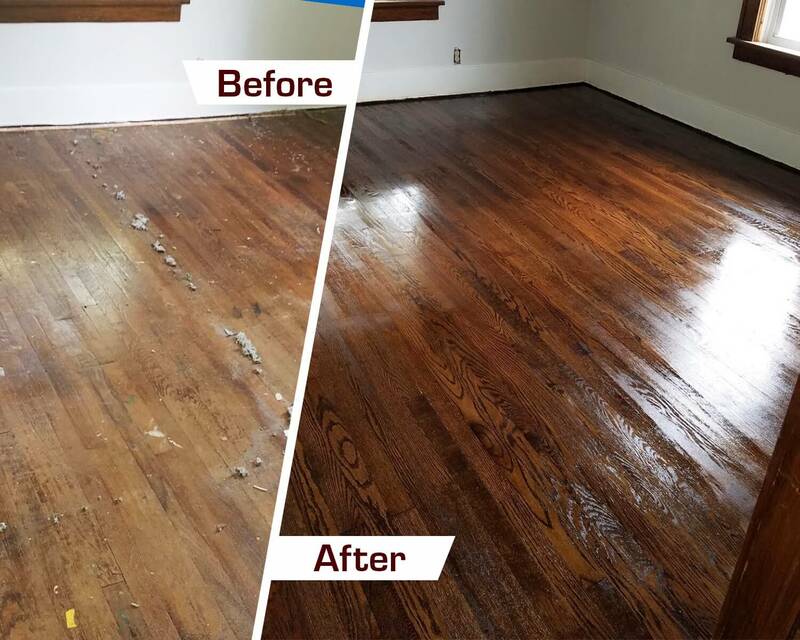 We’ll begin by sanding down your hardwood floors to eliminate any scratches, dings, or dents that may have been present. Our innovative sanding machine is also virtually dust free, so you won’t have to worry about cleaning up a big mess once we leave. Next, after choosing a stain color of your choosing, we’ll carefully stain your hardwood floors. Lastly, we’ll apply a coat of our long-lasting polyurethane finish to your hardwood floors to give them a nice look and to protect them against future damage.